Turn key investment. Buy and collect rents. Bring your investors 6.1% CAP rate! 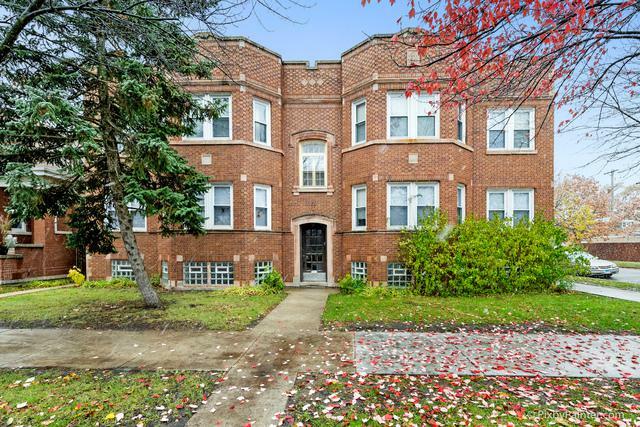 Well maintained, newer roof, all utilities are separate for each unit, brick, 6 flat building, with parking garage, storage place, and large basement. Front entrance leads to 4 units: 2bedrooms/1bath each. Side entrance leads to 2 units: 3bedrooms/1bath each. All 6 units are very large. Each unit features large living room, full large kitchen, hardwood floors throughout the unit. Fully occupied. See financial summary in the documents, with rent roll and income/expenses. Per management the owner spend $32,000 to update porches in 2015; $12,000 for new electrical system in 2011, $10,000 for tuck-pointing and lintels in 2015. Roof had new coating in 2016. All plumbing is copper. It really is a turn key property, buy and collect rents. Sold by Basic House Of Realty.